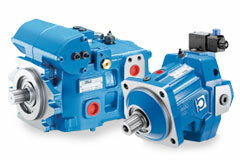 Action Hydraulics is proud to be an Authorized distributor for Bondioli and Pavesi hydraulic gear. We can rapidly fulfill orders for Bondioli & Pavesi valves, directional control valves, axial piston pumps and motors, gear pumps and motors and heat exchangers. Our technical staff can help replace existing Bondioli and Pavesi product, and can even cross over to replace hydraulic gear from other manufactures. We also welcome requests from OEMs and are fully prepared to size and suggests Bondioli and Pavesi equipment that is suited to specific applications. 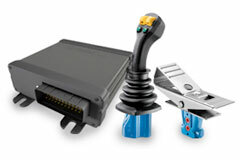 Our staff can work with OEM engineers to select components or alternatively we can provide fully engineered turn-key solutions. Bondioli and Pavesi has distinguished itself in the hydraulic marketplace with its close attention to quality and the sturdiness of its product. 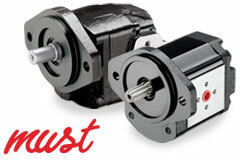 Additionally, Bondioli and Pavesi continues to leverage its involvement in multiple industries to drive hydraulic technology forward; its line of MUST silent gear pumps are a fine example of this. The company has used its strong experience in gear manufacturing to create a quiet gear pump that is particularly useful in industrial applications where noise production is a concern. Bondioli and Pavesi also offers axial piston pumps and motors for a wide variety of closed and open circuit applications. The most important attributes are a wide range of products, displacements, controls, and options and the ability to offer customized solutions. 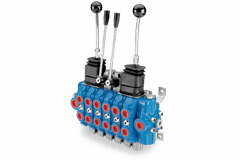 There is also an extensive line of monoblock and modular directional control valves we can provide OEMs for a wide variety of applications. Bondioli and Pavesivalve gear provides a number of control options including joysticks, hydraulic controls, electro-hydraulic and electrical controls. 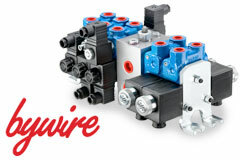 Particularly exciting is the ByWire manifold system. In ByWire systems a unit manufactured according to the requirements of the machine circuit is interfaced with mass-produced standard elements. In order to hold down load losses all exchanges and compensations take place within the body rather than in a cartridge. • dramatic reduction of size and weight.